Before I fully get into talking about the differences between a fishing rod and fishing pole (and what one is better), I want to tell you my story about how I got into fishing. I feel with more of a background on me, you can be assured that my knowledge of fishing is grounded in a lot of training. I always grew up with a family who loved the outdoors. My father grew up in the country and lived on a farm all of his young life that stretched over 150 acres. He would have to get up early before school and feed the cows, milk the cows, and look after llamas. Yes, the farm had a lot of llamas. 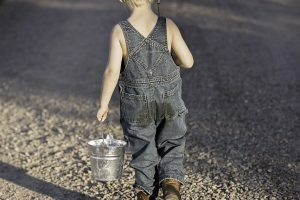 This taught my father discipline and even though I was born in the city, he wanted to raise me in the same way, having to work more at a young age and understand what a hard day’s work really means. So, he decided to take me fishing three times a week. We would get up at 4 AM, and head out on the boat (our house backed onto a small river), and we would try to catch a fish for our breakfast. Even though most of the time we would catch nothing, my Dad would tell me stories out on the lake and teach me the patience I need to get some food for my family. I always look back on these memories with fondness and it is where my love for fishing started. My Dad never expected but as I got older, I got more serious about fishing and eventually decided I wanted to be a professional fisherman. I started apprenticing with one of my Uncles, and the rest as they say was history. I have been fishing ever since and this year marks my 15th year with my own boat and my own team. It all goes back to my Dad taking me out fishing as a young boy. 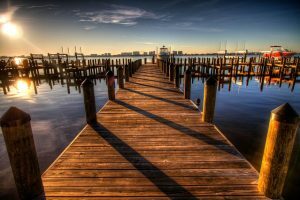 So of course, in order to fish you absolutely should have four things: a boat, a fishing rod (or pole), some bait, AND obviously, fish to catch. There is no point fishing in a place that doesn’t have any fish, believe me you will be disappointed. So, let’s first start off with a fishing rod. 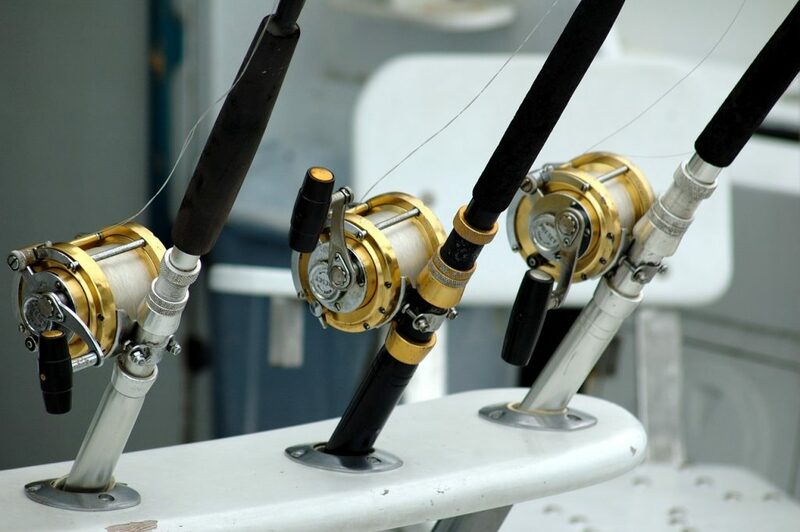 A fishing rod usually refers to an item that has been made out of conventional materials put together such as fiberglass, boron or kevelar, and graphite. It doesn’t have to be all of these, just a combination of them. A fishing rod also has eyes and guides and is typically what most fishermen use. This is especially true if you aren’t the most experienced when it comes to fishing. A rod is what you would use. So now since we know what a fishing rod is what exactly is a fishing pole? Well for the most part, many beginner fishermen will just often call a fishing rod, a fishing pole. This is an amateur mistake but has also made people believe that there is no difference between the two and that is just not true. 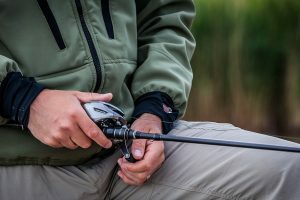 A fishing pole has usually been recognized as being made from natural materials, rather than conventional materials, such as bamboo or reed etc. 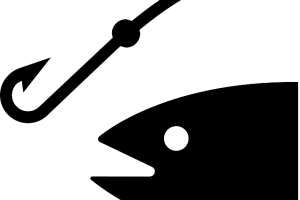 Fishing poles usually have no eyes or guides. Usually you would put elastic through the end blanks/tubes to pull up the fish. It is a very different tool from a fishing rod. 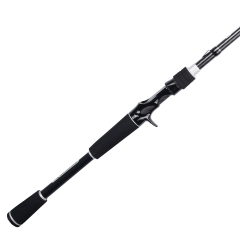 Now since we know what both a fishing rod and a fishing pole are, what one is better? Well, I think if you have read both the above descriptions, you can see the main similarity: yes, they can both be used to catch fish. However, I do believe that the Fishing Rod is a much better tool to use out in a boat. Guides and eyes give you a lot of help when it comes to catching fish and I believe they are integral to your success. Fishing poles seem a lot more out-dated and I have not used one since I was a little boy. Fishing rods are most commonly used today and I don’t know anyone that uses a pole. I wish you the best of luck in your fishing adventures!